<="" p="">We provide services to convention centers and hotels in the greater Philadelphia area, New York metropolitan area and New Jersey. Our team in New York provide everything you need for your event, including in-house graphic design, digital printing, furnishings, carpet, and full fabrication capabilities. 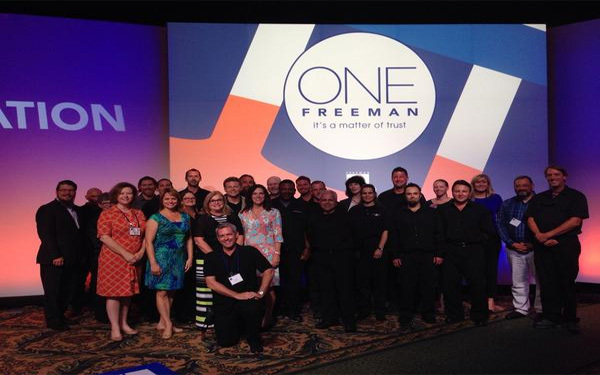 At Freeman, we can efficiently produce events ranging from as few as ten booths to multiple, city-wide international expositions encompassing over 1 million square feet. We've produced events in the Philadelphia Area, New York metro area and New Jersey. We know the venues, inside and out. We've built strong relationships with venue staff and unions throughout the area. Together, we'll help you achieve your objectives by delivering a successful event, efficiently, and effectively.